SalsaFever are literally giving away a great selection of some of the best Compilations to have ever graced our dance floors. This collection is definitely, hard hitting and not for the faint hearted, We simply just call it....... Mambo Madness! CD 1 - Salsa/Mambo Practice & Counting The basic rhythms that drive salsa music. This audio program will give you a better sense of confidence to catch the rhythm and to know where you're at in the music. CD2 - The Facts You Should Know About Salsa Music, Rhythm, Phrasing & Timing Highly acclaimed instructional CD with accompanying 20-page instructional booklet. Mike Bello, once again, provides dancers with the tools and drills necessary to become as one with Salsa Music through rhythm. This four-hour live presentation covering most of the rhythms in Salsa music utilises and reinforces the material on the Salsa Music, Rhythm, Phrasing & Timing CD. This very sought after Salsa IT collection has been a long term favourite and must have of privileged DJ's who managed to get their hands on this Italian magic. Salsa IT, a cocktail blend of smooth and funky Bachata, and some really wicked, dance floor killers. Now the secret is out... Get them while you can, they are hard to find and when they’re gone they’re gone ! 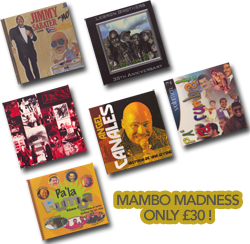 An amazing multi pack deal, an ideal starter pack for anyone wanting to build their Salsa collection - or indeed extend a collection by ensuring all the most famous latin artists and popular tunes at your finger tips. 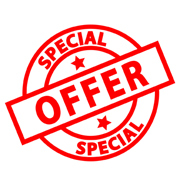 Already fantastically priced at £5.99 each the multi pack deal saves you even more when purchasing all 8 titles together.